If you’re looking for something uniquely Retro and fun for guests to enjoy at your next event, why not hire a Popcorn Machine for your London event? When you hire from us, you’ll have a vintage-style Popcorn Cart, and your own uniformed operator to recreate that retro buzz you’re looking for! Our Popcorn Machine will fill your venue with that delicious buttery smell that brings back childhood memories of funfairs and trips to the movies! Our Popcorn Cart would be ideal for all sorts of events – Company Event Days, Village Fetes, Birthday Parties, Baby Showers, Sporting Events, Fundraisers, School Event Days to name a few! Everyone loves popcorn! Popcorn Machine Hire London provides you with perfectly themed, traditional striped popcorn boxes, and a choice of popcorn flavours! Popcorn is a yummy guilt-free treat, and your guests will love having some warm, fresh popcorn to nibble on! With three delicious flavours to choose from you’ll all find something tasty to enjoy. 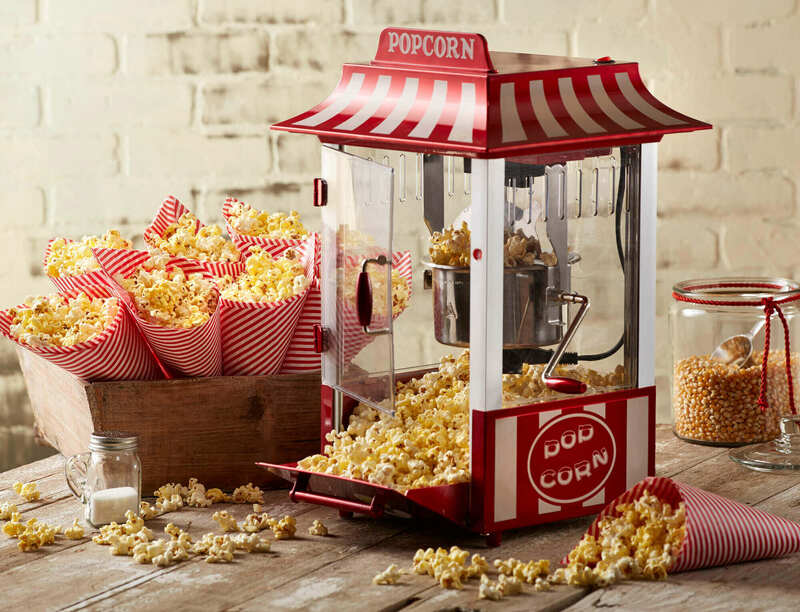 Set the perfect funfair scene at your event by hiring our Retro Popcorn Cart! With our exclusive package you’ll get 3 full hours of Popcorn Machine Hire complete with a trained Popcorn Machine Operator! 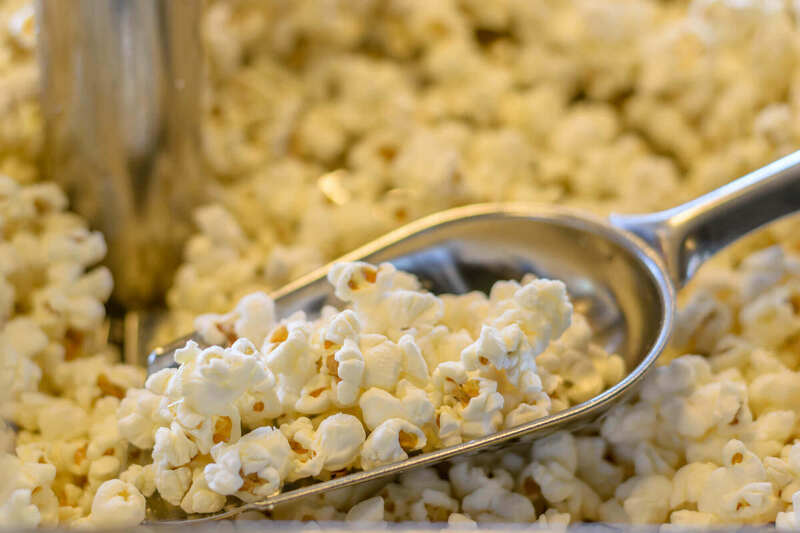 They’ll serve your guests our scrumptious sweet, salted or mixed popcorn in vintage-style striped boxes. Make the most of this awesome experience and splash out on extra flavours or corporate logos on you retro popcorn boxes! Make your occasion a memorable one. Contact us now for Popcorn Machine rental prices. How long can I book the Popcorn Machine Hire for? We are flexible and can tailor a package to suit your event needs, just get in touch with your requirements! How long do you need to set up and take down the Popcorn Machine? We normally allow half an hour for setup and the same for packing away. The hiring time begins from when you start using the Popcorn Machine. I need the Popcorn Machine set up one or two hours before the actual event and popcorn should start, is that ok? How much popcorn will you provide? 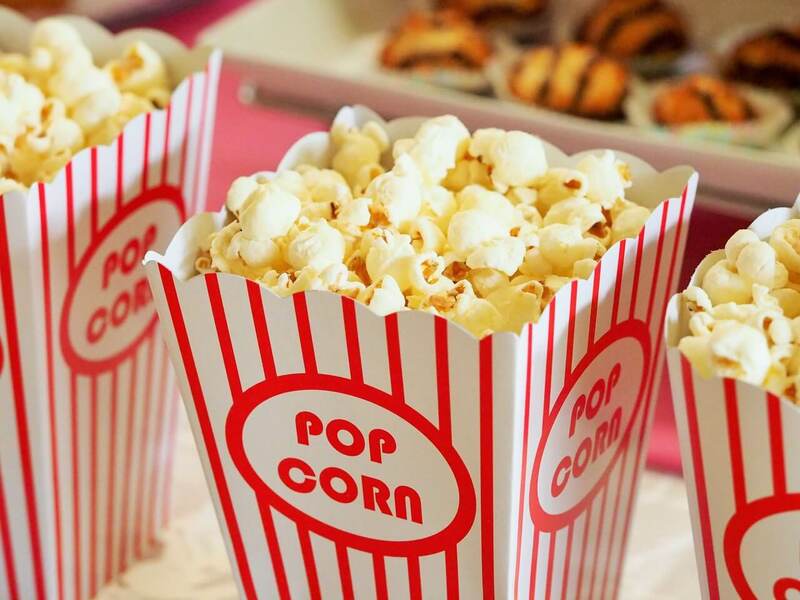 There’ll be enough popcorn for 300 people in the standard package, but we can extend the package if your event needs to cater for more! How big is the Popcorn Cart and how much space is needed? Our Popcorn Machine is pretty compact, and we only need a small space of 0.75M (L) x 0.5M (W).